LIMA, Peru — As ministers from nearly 200 countries began a critical four days of climate talks here on Tuesday, the leader of the United Nations pleaded with the business world to help rich governments overcome what threatens to become a major sticking point in negotiations. Poor and developing countries are pushing ministers from the developed world to commit this week to some kind of a financing plan to help them reduce their own climate impacts and to adapt to a warming world. 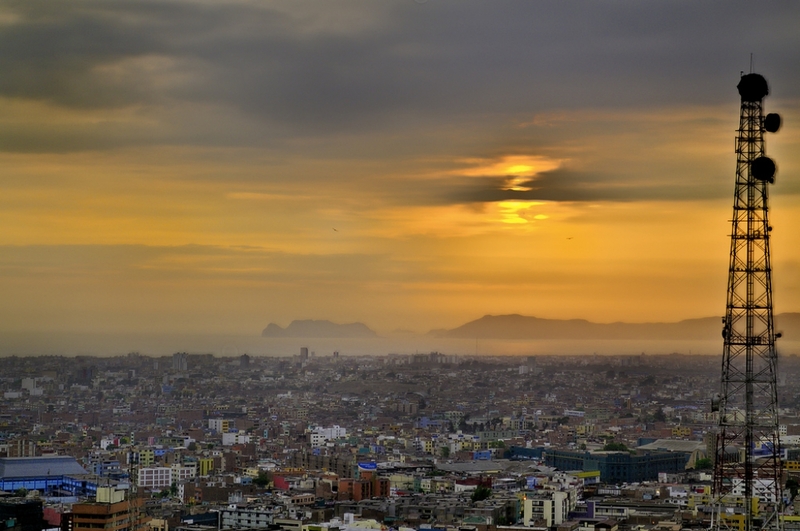 Reaching such accord on climate financing is one of the most difficult, but critical, outcomes that negotiators and onlookers hope for during this second and final week of U.N.-led climate talks in Lima. U.N. Secretary-General Ban Ki-moon and U.N. Framework Convention on Climate Change Executive Secretary Christiana Figueres at a press conference on Tuesday. Other priorities during this key week of high-level talks revolve around the setting of rules and guidelines for national climate pledges under a new global climate agreement, which is due to be finalized in Paris a year from now. Parameters to be decided affect pledge timelines, and the extent to which countries should be allowed to probe, prod and question the pledges of others after they are finalized and announced early next year. Experts warn that without a road map for meeting rich countries’ existing financial promises regarding climate action, and for crafting new ones, efforts to strike the first major post-Kyoto Protocol global climate agreement during the negotiations in Paris could flounder. 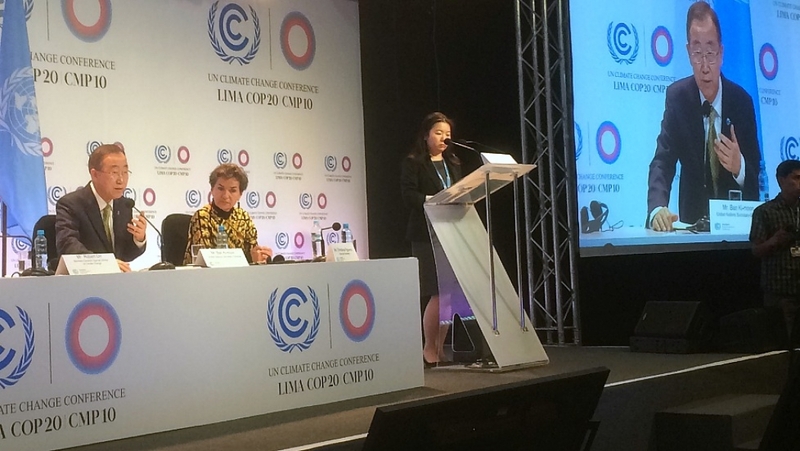 “Without climate finance, the well is poisoned, and Paris will be over before it’s begun,” Oxfam Australia official Kelly Dent said during a press conference in Lima on Tuesday. Details of how financing issues are incorporated into the upcoming agreement are expected to be thrashed out during this week’s talks. While the developing world wants financing to be forefront in the next climate agreement, most rich countries want it to remain a side issue. Some worry that forcing countries to include financial commitments as elements of their upcoming pledges under next year’s Paris agreement, which are known as intended nationally determined contributions, or INDCs, could undermine the larger-picture goal of slashing the rate at which the atmosphere is being sullied by fossil fuel burning and deforestation. The excruciating difficulty of satisfying existing financial promises underpins poor countries’ fears of broken promises, and it was highlighted Tuesday by U.N. Secretary-General Ban Ki-moon. In 2010, developed countries committed to “mobilizing” $100 billion annually for the Green Climate Fund by 2020. The fund is intended to help developing countries reduce the amount of pollution that they produce and to adapt to a warming world. So far, it has raised just $10 billion. That’s enough to start funding climate mitigation and adaptation projects in the developing world, but it’s far shy of the developing world’s expectations. 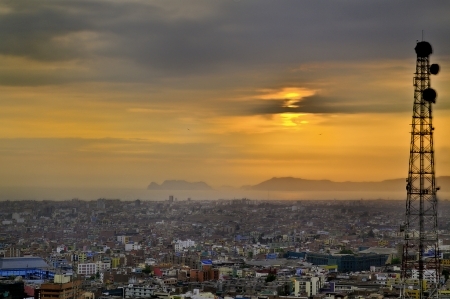 Lima, Peru, host of this year's annual climate talks, is highly vulnerable to climate change. That warning came as ministers began their four days of talks in a pop-up city built on a Peruvian military base. The world leaders are being protected from the summer glare by the hulking white tents in which the meetings are being held — and by a metal-gray sheath of air pollution that’s become so common in the developing world. The most visible aspects of this week’s talks include successions of elected officials laying out basic details of what their countries are doing to tackle climate change, and what they want included in next year’s pact, juxtaposed with details of the critical dangers that nations face if greenhouse gas emissions continue unabated. Negotiating teams are being sheltered, however, from the sunshine of public scrutiny by the fact that, unlike the speeches, the actual negotiations are being held behind closed tent doors. This isn’t a meeting of the leaders of a democratic country. It’s a meeting of members of the U.N. — an intergovernmental club. Negotiations behind those closed doors are reportedly strained, but have been buoyed by the recent co-announcements by China, which said it will curb its growth in greenhouse gas pollution rates by 2030, and the U.S., which plans to reduce its pollution rate by 26 to 28 percent by 2025, compared with 2005 levels. A hint that the recent U.S. announcement, combined with Obama Administration efforts to reduce greenhouse gas pollution from power plants and other sources, is being well received at the climate talks came on Monday. That’s when word got out that Stern’s boss, State Department Secretary John Kerry, will appear in Lima on Thursday — the first time a state department secretary has shown up at U.N. climate negotiations since 2009. Doubts abounded that Kerry would such make an appearance if he expected a hostile reception. How Winters Are Changing Throughout the U.S.